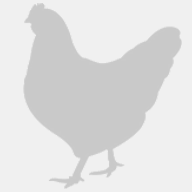 I am but I don't know what to do with a bantam rooster that just loves to crow, crow, crow. It matters not where. I need to find a new home for them as the city says no roosters. I also have three hens that are regular size. Any ideas as to where to re-home the roosters? I love them but don't want to get in trouble with the city. Can't afford the fine. Possibly at a local petting zoo. Seeking information about taking care of my little flock.